Dice onions, carrots, tomatoes and leek. Chop garlic and sauté in coconut oil the onions, ginger and garlic until onions are soft then transfer to your pressure cooker and add 4 cups of water, beans, and other veg. Add seasoning like masala, salt, pepper and cumin to taste. Let it cook for about 25 minutes. 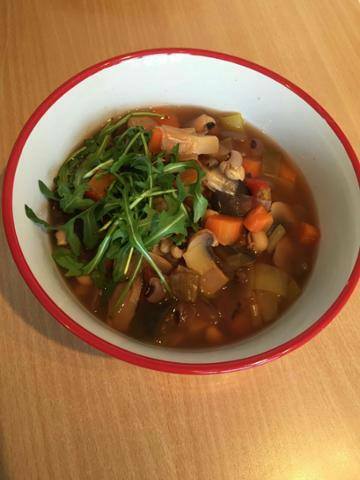 Check the beans are soft and serve with quinoa and rocket salad. Benefits: Black-eyed peas are a good source of protein and potasium.